All Products There are 2 products. 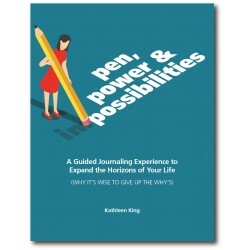 A Guided Journaling Experience to Expand the Horizons of Your Life: This workbook will help you identify and act on the possibilities in your life by assisting you to recognize what is hold you back, to face the fear of saying yes, and to take the first step to expand the horizons of your life. 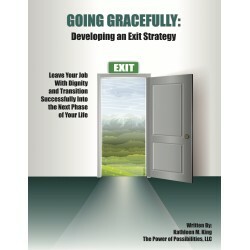 Developing an Exit Strategy: This workbook, along with your coach, will help you develop an exit strategy so that you can walk away from the job with your head held high and your mind focused on the positive possibilities that await you in the next phase of your life.